Spring is here! 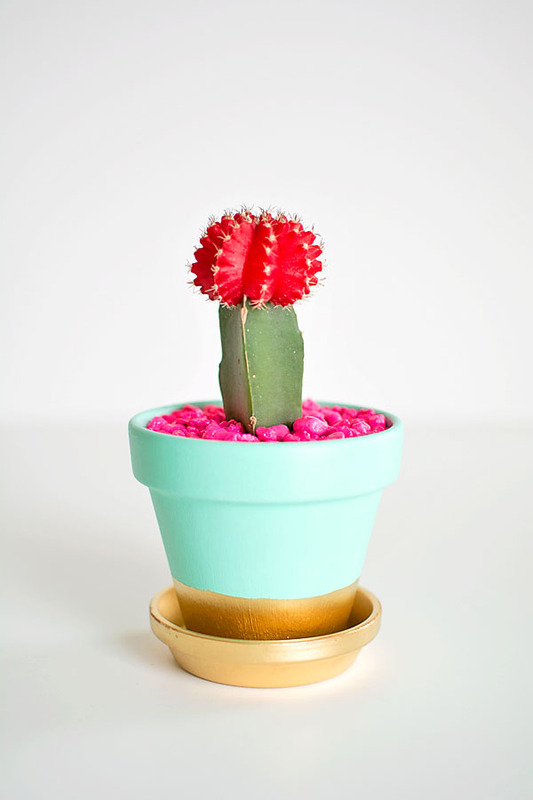 What better way to greet the season than with a colorful little piece of nature to sit atop your desk? 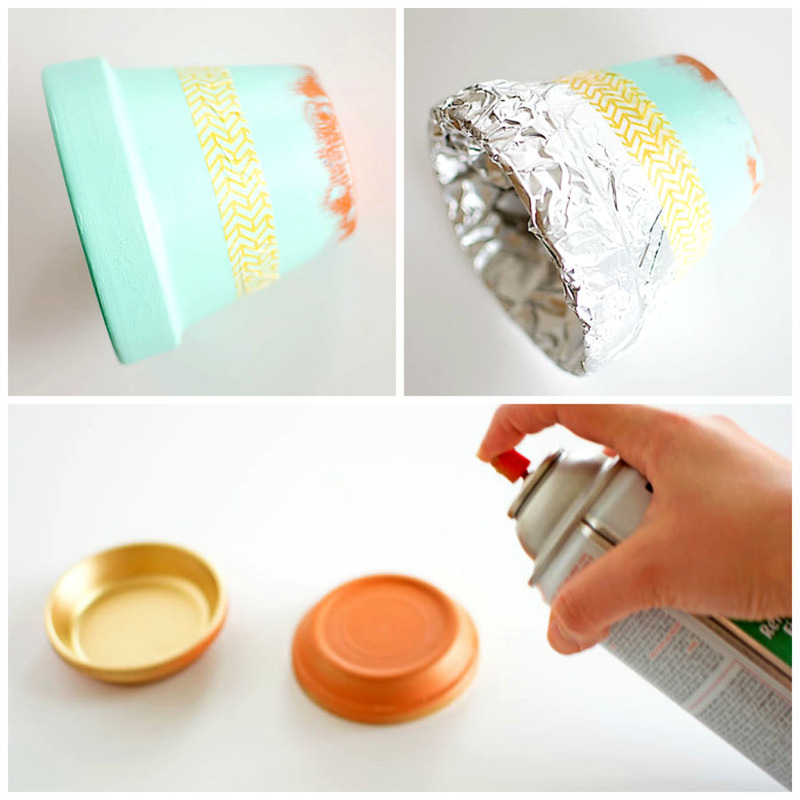 Today, DIY whiz Amy of Homey Oh My! 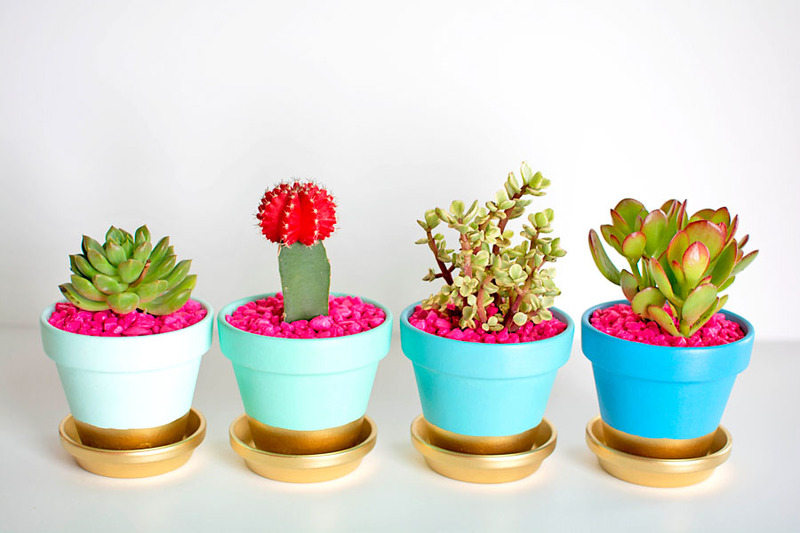 shares with The Stylehouse how to make cheery little plant pots that will brighten up your space. 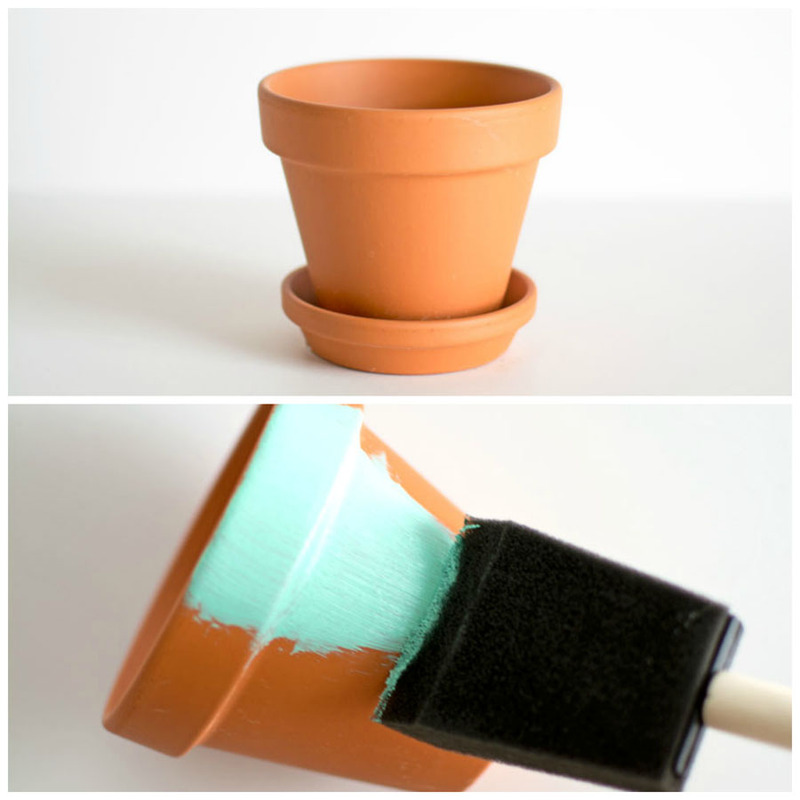 Step 1: Using the foam brush, apply acrylic paint to the terra-cotta pots. (Make sure to paint the inside of the rim at the top of the pot as well.) After letting the first layer dry, apply a second layer so you get full, opaque coverage. 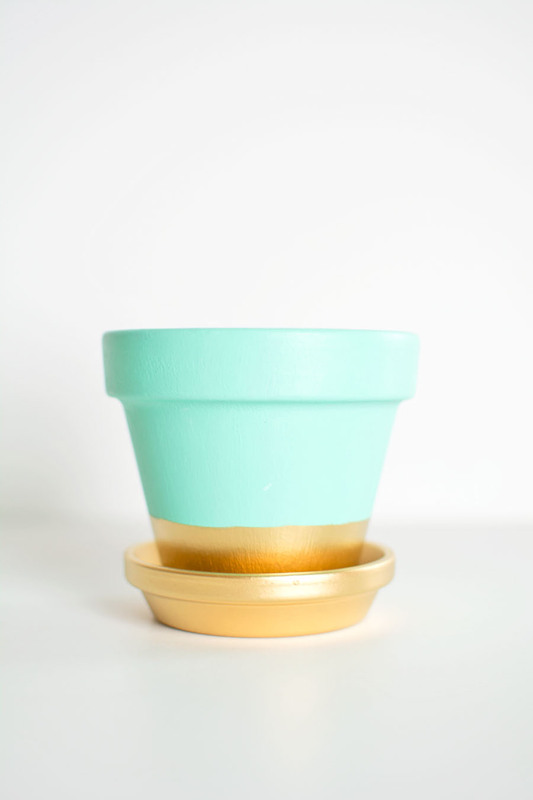 Step 3: Let the spray paint dry for at least an hour before putting your plants in the pots. 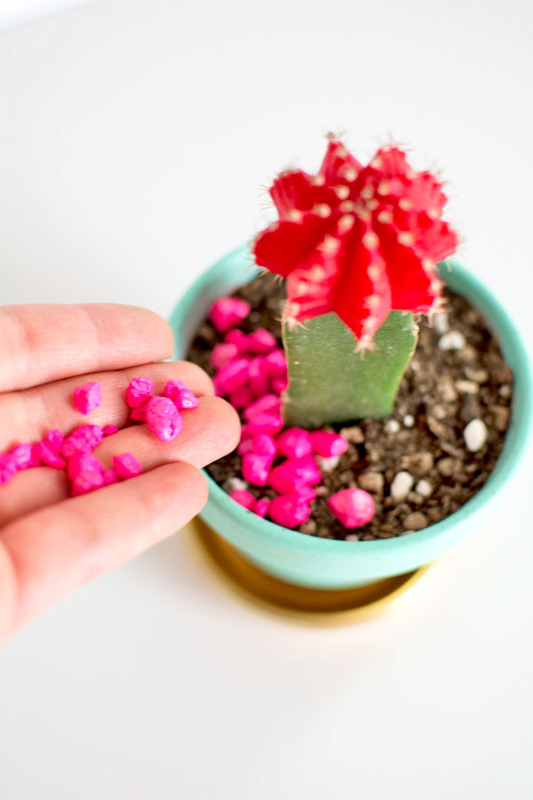 Add pink aquarium gravel on top of the soil for a fun pop of color. 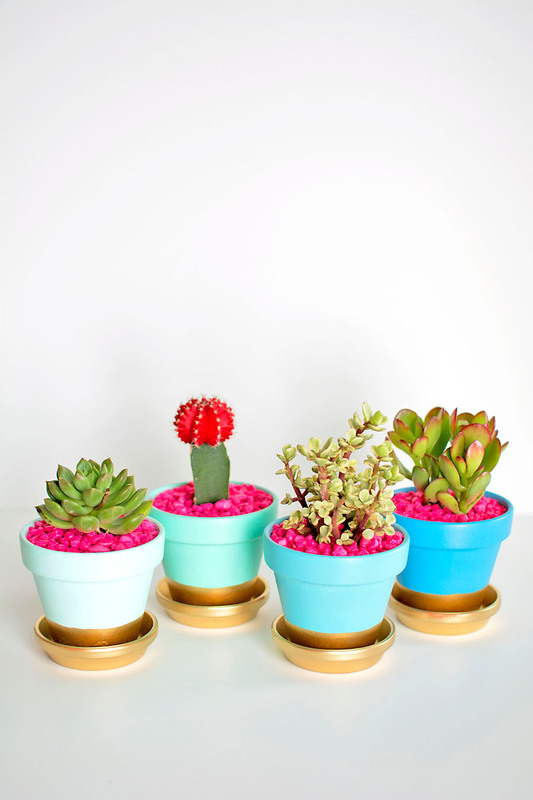 Now you have your very own fabulous plant pots! Aren’t they adorable? Feel free to get creative with mixing and matching different colors. Which DIY project should we have Amy cook up next? Let us know in the comments below what you’d love to see! These are AMAZING!! 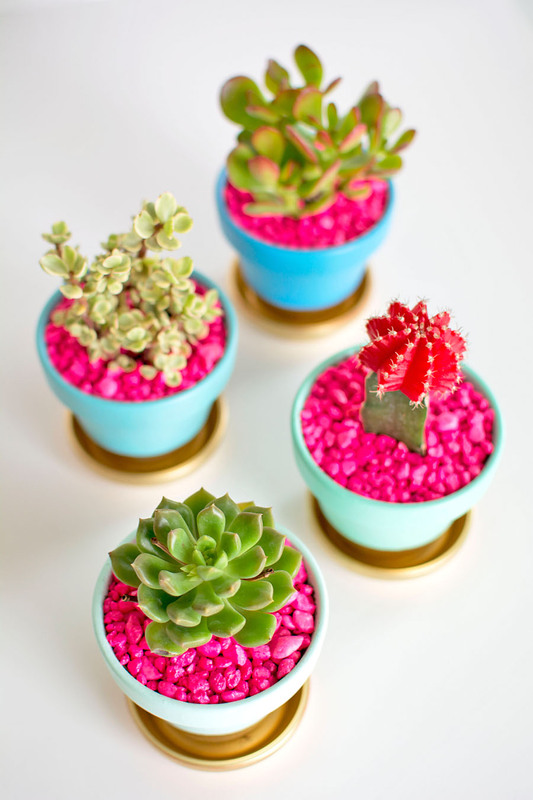 Love the pink rocks and you picked amazing color combo’s! Love! Have been wanting to do something like this for ages. Just wondering where to find the coloured aquarium gravel from? Thanks! Hi, I like your DIY terracotta work. I tried to do similar to this. I used acrylic paint as well. I let it sit for a few hours before I actually transferred my plant which is my herb into the pot. However, it seems that the paint was not dry when I transferred the plant into the pot, the paint seemed to come off of my hands and I didn’t know that the pot absorbed the water from the damp soil and created bubbles. Do you know how long it needs to sit before we can actually put a soil in it? or do I need a spray to coat to dry the paint? Your comment is really appreciated. 🙂 Thanks.